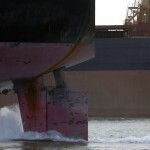 MUA stalls strike action against Teekay to stabilise Port Hedland negotiations (0) May 23, 2014 ​The Maritime Union of Australia have turned the heat down on the Teekay strike action in Port Hedland, allowing more time for negotiations. 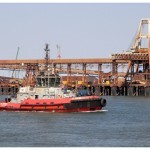 Port Hedland tugboat strike war heats up, FMG threatens to suspend operations (70) May 22, 2014 ​Following ​comments from BHP iron ore chief Jimmy Wilson, the MUA have retaliated with hard data to show the hours worked by tugboat deckhands. 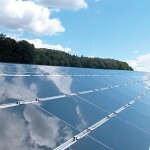 Rio Tinto to implement solar power at QLD mine site (0) May 22, 2014 Rio Tinto has enlisted a US company to build a $23 million solar plant for its Weipa bauxite mine. 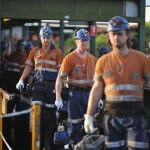 Manufacturers’ wages growing quicker than miners’: ABS (0) May 22, 2014 ​Growth in wages in manufacturing outstripped those in mining, with mining wages growth at its slowest pace since 2000, according to ABS figures. 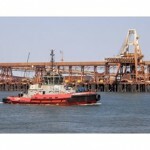 BHP to request federal intervention over Teekay strike at Port Hedland iron ore docks (0) May 22, 2014 BHP Billiton has shown its intention to ask the federal government to prevent tug boat staff from carrying out strike action at the Port Hedland harbour. 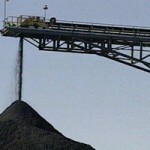 Glencore closing Newlands Northern coal mine (2) May 22, 2014 Glencore Xstrata has announced it is closing its Newlands Northern underground coal mine in Queensland. 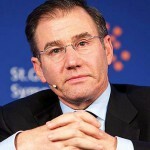 Mine expansions at fault for falling iron ore prices, says Glencore Xstrata chief Ivan Glasenberg (7) May 22, 2014 GlencoreXstrata chief Ivan Glasenberg has blamed mine expansions for the drop in iron ore prices, not for the first time schooling the majors in supply and demand. 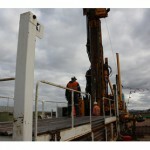 ​Boart launches new rock drill (0) May 22, 2014 Boart Longyear has released a new rock drill, the S250-M3, designed to cut noise levels. 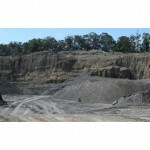 Black Hill quarry operator called to account for rehabilitation (0) May 22, 2014 ​Black Hill residents have questioned an application to extend a quarry lease, saying there is a lack of rehabilitation on site. 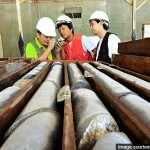 China considering rare earth export tax increase (0) May 22, 2014 Sources in China are pointing to an increase in rare earth export taxes, strengthening its stranglehold on the material. 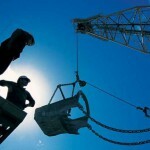 Hunter Ampcontrol jobs to be cut: ETU (0) May 21, 2014 ​A downturn in mining activity has been blamed by the Electrical Trades Union for what it says is an imminent round of job cuts at Ampcontrol. 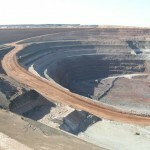 Junior explorer CEO sacked (211) May 21, 2014 Dampier Gold announced earlier this week they would be cutting costs by making the company CEO redundant. 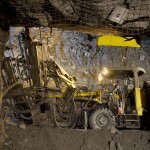 ​Australia’s largest underground gold mine opens (0) May 21, 2014 The Cadia East gold mine, Australia’s largest new underground operation, has officially opened. Tidewater maritime workers to strike for 48 hours (0) May 21, 2014 ​Employees of marine contractor Tidewater have elected to strike after protracted EBA negotiations. 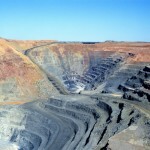 Breaking News: Miner killed at Boggabri coal mine (0) May 21, 2014 A man had been killed after being struck by an object. 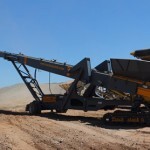 Austin Engineering acquires South African mining supply company, launches new bucket (0) May 21, 2014 Austin Engineering has expanded its mining bucket range, and will acquire South African mining attachment business. 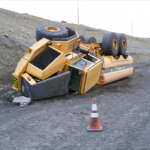 Injured dozer operator wins damages against Hail Creek Mine (1) May 21, 2014 ​A Queensland bulldozer operator has recently been awarded more than $600,000 in damages after ongoing back problems as a result of work. 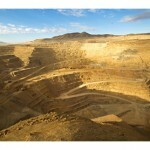 ​Brynecut wins Sandfire’s underground mining contract (0) May 20, 2014 Byrnecut has won the underground mining contract for Sandfire’s DeGrussa copper mine. 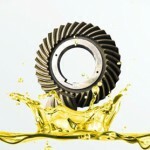 Nanotech copper lubrication additive sets new benchmark for surface wear (0) May 20, 2014 In an industrial world where synthetic lubricants seem to have reached the top of their evolutionary game, how else can we reduce friction? 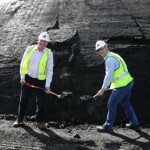 Giant lump of coal from Mackay wins hearts and minds (0) May 20, 2014 Children in the Mackay area have been offered a remarkable opportunity by the Dalrymple Bay Coal Terminal: The opportunity to win $2000. 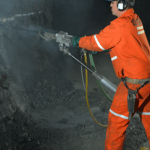 New safety innovations developed in NSW mining industry (0) May 20, 2014 ​Last night the NSW mining industry recognised some of the best innovations in safety over the last year. 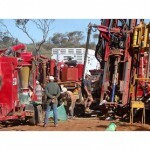 Metgasco’s Bentley drilling licence remains suspended (0) May 20, 2014 Metgasco’s gas drilling program near Lismore remains suspended as the Office of Coal seam gas continues to assess whether the company has complied with conditions to consult with the community. 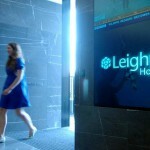 Leighton reiterates need to cut costs, change structure (0) May 20, 2014 In his first shareholder address, new Leighton Holdings’ CEO Marcelino Fernandez Verdes said cutting costs and accelerating change at the company was a top priority. 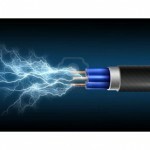 ​Intellect Systems win Fortescue Iron Bridge electrical contract (0) May 20, 2014 Intellect Systems have won a contract to provide support for electrical and control systems work at the Iron Bridge project. 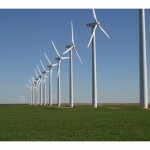 Voter support swings towards keeping carbon and resource taxes. (0) May 20, 2014 Voter backlash against the Liberal government policies has turned more voters around to support keeping the carbon and mining taxes. 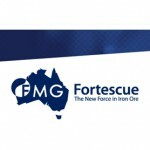 ​Fortescue increases Solomon Hub resource by a billion tonnes (0) May 20, 2014 Fortescue Metals has added 1.16 billion tonnes to its Greater Solomon Mineral Resource following an exploration program. 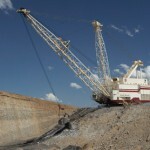 Moorlands coal project receives $15 million boost from Chinese company (0) May 20, 2014 A coal mine project in Queensland’s Bowen Basin has received a $15 million boost as Chinese-owned Beijing Guoli Energy Investment buys up more of Cuesta Coal. Wollongong Coal workers negotiate pay to save jobs (0) May 19, 2014 In an effort to save around 120 jobs, workers at Wongawilli mine have agreed to negotiate aspects of their enterprise agreements with Wollongong Coal. 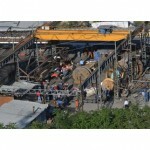 Worker dies at Tropicana project (0) May 19, 2014 A Macmahon employee has died in his sleep at the Tropicana project last night. 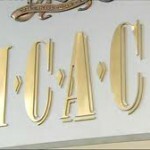 Tinkler tells ICAC he donates to political parties because he’s “such a great guy”. 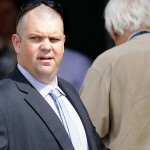 (0) May 19, 2014 Former billionaire coal magnate Nathan Tinkler has told a corruption hearing he makes political donations because he is “such a great guy”. 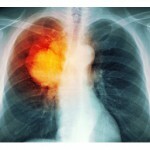 ​Nanotech pits copper against cancer (0) May 19, 2014 A team of researchers have made an accidental discovery with copper that could permanently change the treatment of cancer. 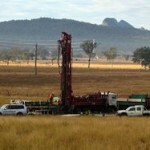 Santos shareholders reject calls to ditch Narrabri CSG project (0) May 19, 2014 Santos shareholders have voted to keep working on the company’s Narrabri CSG project, rejecting a resolution which would have seen the company walk away from the $1 billion operation. 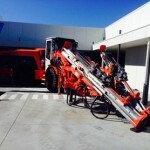 ​Sandvik launches new high productivity centre in Orange (0) May 19, 2014 Sandvik has officially opened a new repair and remanufacturing centre in Orange. 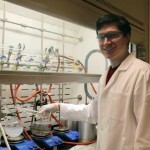 Catalysts mimic platinum in renewable energy technologies (0) May 19, 2014 MIT team develops a process to create inexpensive catalysts that can replace platinum catalysts in renewable energy technologies. 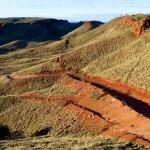 ​West Australian mining director jailed (0) May 19, 2014 A former director of bauxite explorer Aluminex Resources has been jailed for providing false and misleading information to the ASX. Thiess mining CEO released on bail (0) May 19, 2014 The CEO of Thiess mining operations in India, has been released on bail following his arrest for charges of cheating and criminal breach of trust. 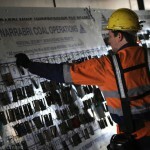 500 jobs slashed as two Hunter Valley coal mines close (0) May 19, 2014 500 jobs are set to be slashed in the Hunter Valley as two major coal mines are placed into care and maintenance. 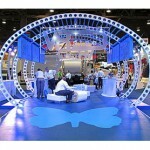 ​Bradken to close manufacturing facilities, cut jobs (0) May 19, 2014 Bradken has announced it will be shutting down its “highest cost manufacturing facilities” and cutting its workforce. 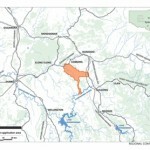 Bulga Coal fined for pollution spill (0) May 19, 2014 ​The Bulga Coal mine was fined $65,000 last week for a pollution incident in 2011, when tailings water spilled into a nearby creek bed. 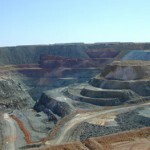 ​Burkina Faso approves manganese mega mine (0) May 19, 2014 Pan African Minerals $1 billion Burkina Faso Tambao manganese mine has been approved. 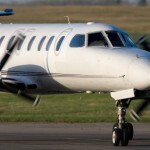 ​Alliance Aviation wins long term BHP FIFO contract (0) May 19, 2014 Alliance Aviation Services have won a five year FIFO contract for BHP’s iron ore operations. 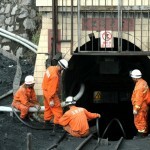 Wollongong Coal asks miners go forgo wages (0) May 16, 2014 Wollongong Coal has asked its workers to go without pay until a stop-gap mining solution is approved by the New South Wales government. 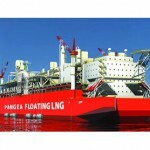 Floating LNG plants will cost WA government billions (0) May 16, 2014 A report has been tabled in WA Parliament which found that allowing gas to be processed offshore would cost thousands of Australian jobs. 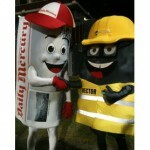 Metgasco and Obeid family links come to light after ICAC referral (0) May 16, 2014 Gas company Metgasco was referred to the Independent Commission Against Corruption by NSW Resource Minister Anthony Roberts as links to former Labor powerbroker Eddie Obeid emerge. 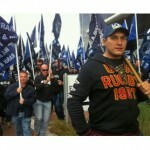 Permanent workers sacked from Hail Creek coal mine (0) May 16, 2014 ​The CFMEU has demanded an explanation for Rio Tinto’s decision to fire permanent workers from Hail Creek, after commitments made the last week’s AGM. 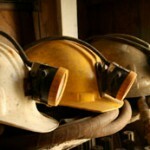 Mine site death leads to Queensland coal mine safety alert (0) May 16, 2014 Queensland’s Department of Natural Resources and Mines have issued a safety alert after electrician Paul McGuire died at Anglo American’s Grasstree coal mine last week. 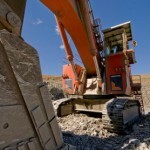 Iron ore mine to go ahead in Tasmania after legal delay (0) May 16, 2014 ​Venture Minerals will be able to call an end to the trading halt with a Federal Court ruling in favour of the Riley Creek project. 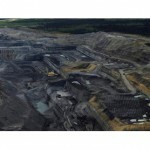 Cobbora Coal Mine approved but hangs in limbo (0) May 16, 2014 ​The future of the Cobbora Coal Mine is still uncertain, despite receiving approval from the Planning Assessment Commission. 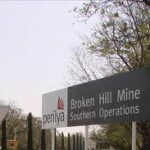 Perilya mine dumps MacMahon contract (0) May 16, 2014 Broken Hill’s Perilya mine will end its shotcrete contract with MacMahon in a move set to lead to job losses at the site. 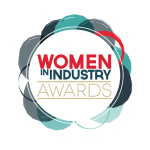 2014 Women in Industry Awards- Finalists Announced (0) May 15, 2014 Australian Mining, Manufacturers’ Monthly and Pace are proud to announce finalists for the inaugural Women in Industry Awards have been selected from a list of impressive candidates. 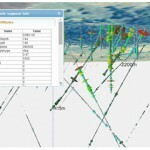 New exploration drilling database makes research easier for investors (0) May 15, 2014 ​Investors will be able to perform their own due diligence in a matter of minutes, thanks to a new online exploration data portal launched this week. Norton produces one millionth ounce of gold (0) May 15, 2014 Norton Gold Fields has reached a major milestone, pouring its one millionth ounce of gold from the Paddington gold mine. 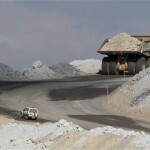 Those in the market to buy nickel assets set to visit BHP Billiton’s operations (0) May 15, 2014 BHP Billiton has told its 1800 Nickel West employees that potential buyers are soon set to visit the operation. 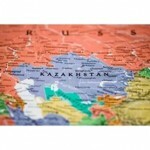 Kazakhstan allocates $950 million to exploration program (0) May 15, 2014 Kazakhstan has allocated nearly a billion dollars for a new geological exploration program in the country. 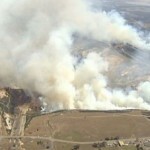 ​EPA investigating Wambo blast plumes (0) May 15, 2014 The NSW Environmental Protection Agency is investigating potential blast fumes from Peabody’s Wambo coal mine. 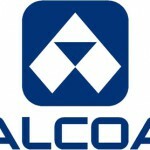 Alcoa named best employer in Western Australia (0) May 15, 2014 Alcoa has been ranked the ​most attractive company to work for in Western Australia, according to a worldwide survey conducted by Randstad. 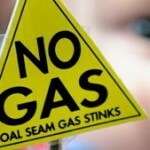 Metgasco’s drilling permit suspended, referred to ICAC (0) May 15, 2014 The NSW government has banned Metgasco from continuing a drilling program near Lismore until the company can prove it has undertaken “genuine and effective consultation” with the community. 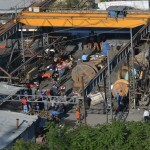 ​Death toll rises in Turkish coal mine explosion (0) May 15, 2014 The death toll at the Soma coal mine disaster has risen from 150 to close to 280 miners. 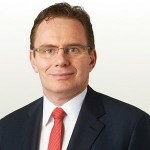 BHP flags sale of its Nickel West business (75) May 14, 2014 BHP Billiton has today announced a review of its West Australian Nickel West business which could see the sale of the Mt Keith, Cliffs and Leinster mines and associated infrastructure. 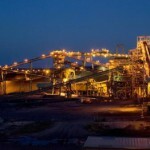 Northern Star Resources adds to its portfolio with Newmont gold mine purchase (0) May 14, 2014 Northern Star Resources has made another West Australian gold mine acquisition, this time buying Newmont’s Jundee mine for $82.5 million. Nathan Tinkler takes another run at coal, buys Peabody mine (0) May 14, 2014 Former billionaire Nathan Tinkler has re-entered the mining sector with the purchase of Peabody Energy’s Wilkie Creek coal mine for $150 million. 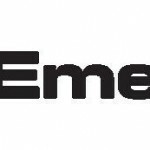 Emeco exits Indonesia (15) May 14, 2014 Emeco has announced it will completely exit Indonesia and downsize business in the region following a strategic review. 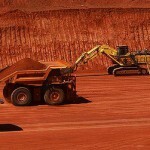 Rio Tinto brings on Pilbara iron ore expansion ahead of schedule (6) May 14, 2014 Rio Tinto has ramped up production at its West Australian iron ore sites, brining on an expansion two months ahead of schedule. 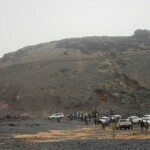 ​Community conflicts costing miners billions (0) May 13, 2014 New research has shown the cost of communities and miners going head to head, and it runs into the billions. 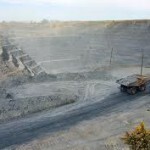 Indian Thiess CEO arrested, chairman Bruce Monro accused (0) May 13, 2014 ​The chief of Thiess mining operations in India has been arrested on charges of cheating and criminal breach of trust. 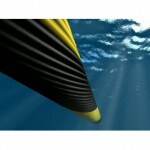 New under-sea cable project for LNG off NW coast (0) May 13, 2014 ​A $100 million deal has just been signed for the construction of a new, state-of-the-art fibre optic cable between Darwin and Port Hedland. 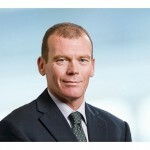 ​GE Mining announces new CEO (0) May 13, 2014 GE Mining has appointed its CEO for Australia and NZ, Steve Sargent, as the new president and CEO of GE Mining. 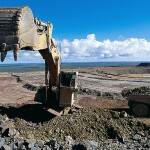 ​QLD Government signs new 30 year mining vision for the state (0) May 13, 2014 The Queensland Government has signed a new blueprint for the state’s resources future, focusing on global competitiveness. 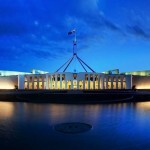 The state of Australia: business (0) May 13, 2014 In this ten part Conversation series writers examine the state of Australia. 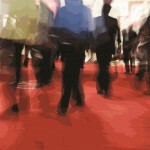 In this edition our business and economy is looked in to ahead of the budget. MUA ready to strike over Teekay tugboats EBA (0) May 13, 2014 ​Tugboat workers employed by Teekay Shipping have voted to take protected industrial action if EBA negotiations with the company do not reach a resolution. 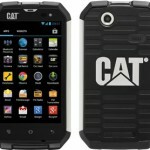 A real smartphone for miners from Cat (0) May 12, 2014 The Cat B15 smartphone has got true mining pedigree, and stands up to a lot of punishment, even when used as a very expensive road. Coal conveyor destroyed after Steelworks fire (0) May 12, 2014 Fire has destroyed a coal conveyor belt at BlueScope’s Port Kembla Steelworks. 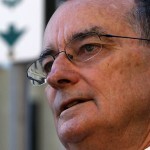 New Hope Group GM says he has no influence over Qld Liberals (0) May 12, 2014 New Hope Group has claimed the company has no influential ties with the Queensland government, despite revelations of massive donations to the LNP. 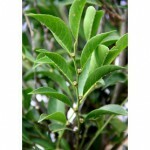 ​New species of metal eating plant uncovered (0) May 12, 2014 A new hyperaccumulator species of plant that absorbs heavy metals has been discovered in the Philippines. 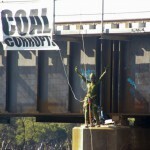 Woman dressed as gecko blocks coal trains (0) May 12, 2014 A woman dressed as a gecko blocked a coal train from entering the Kooragang Island terminals at the weekend, as protests against the industry continue to get more dangerous. Coal still burning at Hazelwood mine (0) May 12, 2014 Over a month after the Hazelwood coal mine was declared safe, hotspots are still burning at the site. 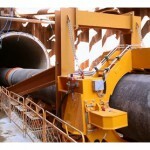 Santos takes pipeline under Gladstone Harbour to GLNG gas plant (0) May 12, 2014 ​The final section of a gas transmission pipeline has been successfully pushed through a tunnel beneath the Gladstone Harbour to Curtis Island. 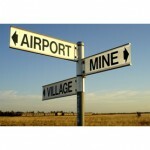 Aurizon plan to dump enterprise agreements in Qld (0) May 12, 2014 Rail freight company Aurizon has accused the unions of wanting to retain ‘outdated’ working conditions as it moves to terminate 14 enterprise agreements in Queensland. First coal mined at Cockatoo Coal’s Baralaba North’s coal mine (0) May 12, 2014 Cockatoo Coal has begun mining operations at its Baralaba North expansion project, and will create 200 new mining jobs. 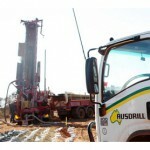 Ausdrill appoints new African COO (0) May 12, 2014 Ausdrill has appointed John Kavanagh to the role of COO – Africa. 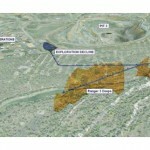 Shaft collapse brings new setbacks to Ranger 3 Deeps uranium operation (0) May 12, 2014 ​The Ranger 3 Deeps exploration decline project has suffered another setback after a collapse during works on a new ventilation shaft last week. 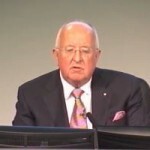 Rio Tinto chairman says market volatility will stabilise in long term (0) May 9, 2014 Thursday’s AGM saw Jan Du Plessis reassured shareholders with high earnings figures, and predictions of short- to medium-term market volatility. 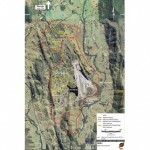 Glencore’s Mangoola coal mine gets ramp-up approval from PAC (0) May 9, 2014 The Planning Assessment Commission has approved a modification of Glencore’s Mangoola mine which will see the site ramp up coal production by 3 million tonnes a year. 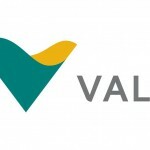 Vale halts New Caledonia nickel operations after spill (0) May 9, 2014 Vale has suspended plant operations in New Caledonia after an acidic spill. 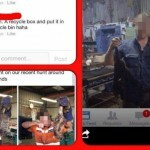 Social media lands Komatsu workers in hot water (0) May 9, 2014 Komatsu has stood down two workers after discovering photos of the men at the Welshpool workshop holding cats. 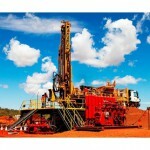 ​Hughes Drilling wins Fortescue drilling contracts (0) May 9, 2014 Hughes Drilling has been awarded grade control drilling contracts for Fortescue’s Solomon Hub iron ore mines. 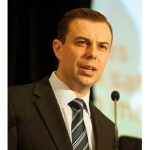 Mayors and unions hit out at Aurizon decision to cut rail jobs (0) May 9, 2014 Two Queensland mayors and various unions have slammed Aurizon’s decision to cut 480 jobs by 2017. 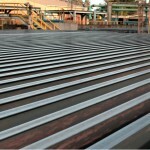 ​CME awarded sole Trackstack distributorship for Australia (0) May 9, 2014 Crushing & Mining Equipment has been awarded the sole Trackstack mobile tracked conveyors and stockpilers distributorship for Australia. 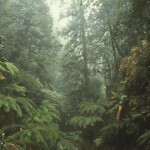 Tasmanian Minerals Council writes off Greens as “absurd” (0) May 9, 2014 The Greens continue to call for greater taxes on the mining industry, but the head of the Tasmanian Mineral Council has slammed such notions as “absurd”. 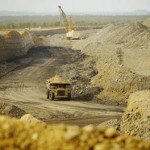 Massive $16.5 billion Carmichael coal mine approved (0) May 9, 2014 The Queensland government has signed off on Adani’s $16.5 billion Carmichael mine, set to be one of the biggest coal mines in the world. 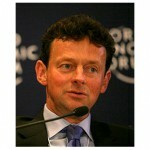 ​Former BP head Tony Hayward appointed head of GlencoreXstrata (0) May 9, 2014 Tony Hayward, the former CEO of energy company BP, has been appointed as the new chairman of GlencoreXstrata. 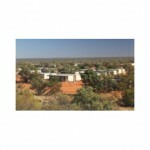 BREAKING: Rio Tinto dismisses Ranger rehab funding concerns as “hypothetical” (0) May 8, 2014 Rio Tinto has stated that concerns about the funding for rehabilitation of the Northern Territory Ranger mine site are hypothetical, and remain the concerns of the ERA board of directors. 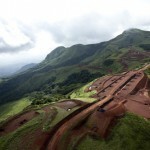 BSGR, defendant in Rio Tinto Simandou corruption claims, sues Guinea (0) May 8, 2014 BSGR Resources, which has been accused of bribery and corruption by Rio Tinto over the Simandou deposit, is suing Guinea and its president. 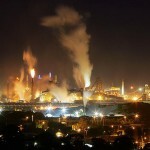 Arrium cuts 120 jobs in Newcastle (0) May 8, 2014 Miner and steel maker Arrium is cutting 20% of its workforce at its Waratah site in Newcastle. 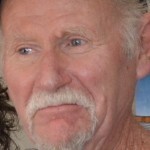 Missing prospector found (852) May 8, 2014 A 76-year-old prospector who went missing near Kalgoorlie on Tuesday has been found safe and well. 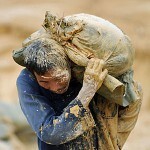 Chamber of Minerals and Energy calls for increased focus on worker fatigue (0) May 8, 2014 The Chamber of Minerals and Energy has highlighted the need to address worker fatigue in the mining industry, particularly for those working longer days. 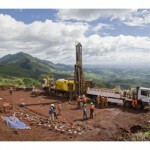 Decmil wins Rio Tinto West Angelas contract (0) May 8, 2014 Decmil has been awarded a new contract for the non-process infrastructure to support the expansion of Rio’s West Angelas Deposit B. 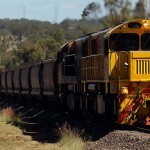 480 jobs to cut be from Aurizon (0) May 8, 2014 Rail freight operator Aurizon has announced plans to cut 480 employees from its Queensland operations by 2017 as part of a major restructure. 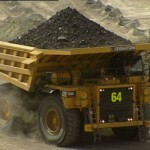 Claims there is no market for Galilee Basin coal slammed by mining industry (0) May 7, 2014 The Minerals Council of Australia said a report warning against developing the coal-rich Galilee Basin is “activist-linked academics to try and undermine Australia’s $60 billion coal industry”. 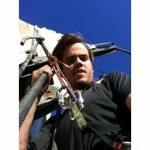 Miner dies at Grasstree coal mine UPDATE (0) May 7, 2014 A miner has died at Anglo American’s Grasstree coal mine. 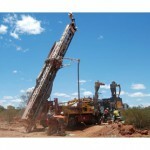 New drug testing clinic to service north-west NSW mining industry (0) May 7, 2014 A new drug testing clinic is set to open in Boggabri to cater for the growing mining industry in north-west New South Wales. 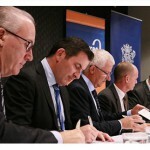 Monadelphous secures new contracts with BHP, Rio Tinto (0) May 7, 2014 Engineering and construction firm Monadelphous has today announced the securing of several new contracts, seeing work out for another three years. 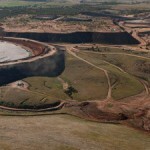 Rio Tinto called to account for ERA rehab funding at Ranger uranium mine (0) May 7, 2014 Rio Tinto will be called to account for their position on the issue of funding rehabilitation operations at ERA’s Ranger mine in Kakadu, at their Australian AGM in Melbourne tomorrow. 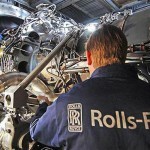 Rolls Royce sells turbine and compressor division to Siemens (0) May 7, 2014 Rolls Royce has sold its energy gas turbine and compressor business to Siemens for more than $1.4 billion. 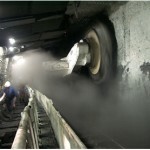 Whitehaven Coal restarts Narrabri longwall mining (0) May 7, 2014 Whitehaven Coal has restarted longwall production at its Narrabri coal mine. 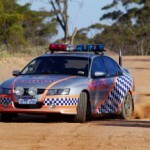 Prospector missing near Kalgoorlie (0) May 7, 2014 Police and State Emergency Service crews will continue their search this morning after a prospector went missing near Kalgoorlie. Uncertain future for camp expansion in Gladstone (0) May 7, 2014 Councillors in Gladstone have unanimously supported a development application to double the capacity of a worker accommodation village, despite an anticipated reduction in the worker population in the area. 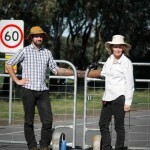 ‘Environmental choir’ blocks Whitehaven Coal trucks (0) May 6, 2014 Haulage at Whitehaven Coal’s Tarrawonga mine was temporarily halted this morning after members of the Ecopella choir locked themselves to the operation’s front gates. 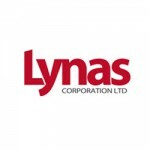 Lynas announces plans to raise $40 million (0) May 6, 2014 Rare earths miner Lynas is seeking to raise up to $40 million from shareholders as it looks to address its working capital levels. 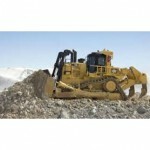 Caterpillar to build new jumbo drill (0) May 6, 2014 Caterpillar has confirmed that it is working on a new, as yet unnamed horizontal jumbo drill. 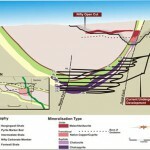 Hillgrove’s Kanmantoo Copper set to increase production (0) May 6, 2014 South Australia’s Kanmantoo mine in the Adelaide Hills is set to increase copper concentrate production, which has been forecast to rise 29.7% over the next 12 months. 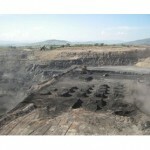 Glencore sees spontaneous combustion issues at Collinsville coal mine (0) May 6, 2014 Glencore has reported spontaneous combustion issues at its Collinsville coal mine’s spoil piles, which have caused fume problems. Andrew Forrest invests in West Australian uranium play (0) May 6, 2014 After agreeing to a $12 million funding deal, Andrew ‘Twiggy’ Forrest is now majority shareholder of junior uranium company Energy and Minerals Australia. 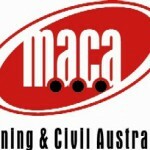 Chris Tuckwell returns to MACA (0) May 6, 2014 The managing director of MACA, Doug Grewar, has resigned from the company to make way for the return of former managing director Chris Tuckwell. Vantage sees flooding in underground mine (0) May 6, 2014 Vantage Goldfields has seen underground flooding at its Lily mine. 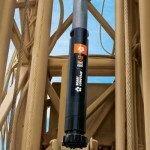 Boart Longyear launches new down the hole hammers (0) May 6, 2014 Boart Longyear has released a new BLH series of DTH hammers and bits. 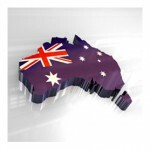 Research and innovation in Australia need a long-term strategy (0) May 6, 2014 As productivity falls, Australia must develop a new strategy for innovation to stem this long term trend downwards. 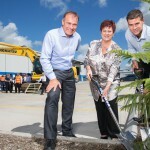 Komatsu expands operations in Mackay (3) May 5, 2014 The mining industry around Mackay can look forward to a new level of customer service for heavy machinery, with a new Komatsu customer support facility opened last week. 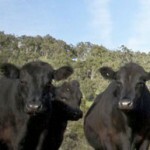 Andrew Forrest beefs up iron ore business with abattoir acquisition (0) May 5, 2014 Iron ore mogul Andrew ‘Twiggy’ Forrest has bought iconic Western Australian beef company Harvey Beef in a deal reportedly worth $40 million. 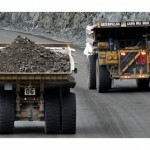 Autonomous truck trials flagged for BHP coal mines (2) May 5, 2014 In an attempt to improve productivity and reduce costs, BHP’s trial of driverless haul truck technology is set to expand from Pilbara iron ore mines to east coast coal mines. 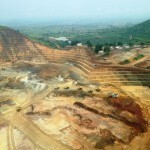 One of the world’s largest gold mines opens (0) May 5, 2014 One of the world’s newest, largest gold mines, officially opens in the Democratic Republic of Congo. 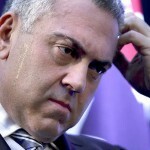 Hockey retreats from diesel fuel budget cuts (0) May 5, 2014 Treasurer Joe Hockey has reassured mining companies that tomorrow’s budget will not include any change to the off-road fuel rebate. 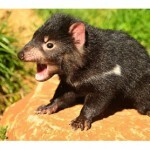 Green groups accuse miners of dodgy offset packages (0) May 5, 2014 Biodiversity offsets used by mining companies to gain approval for major projects will be investigated in the first of three public hearings of a federal senate inquiry today. M&E WA to kick off (0) May 5, 2014 The countdown until M&E WA kicks off has begun. 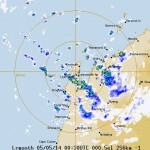 Storms to hit Pilbara (0) May 5, 2014 Storms have been forecast for residents of north-west Western Australia, so batten down the hatches. 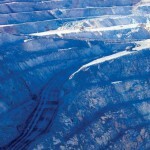 Aquila Resources set for takeover (0) May 5, 2014 China’s largest steelmaker, Baosteel, has announced a joint conditional off-market takeover of West Australian mining company Aquila Resources. 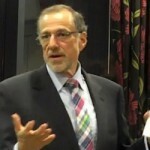 Calling people NIMBYs won’t stop development arguments (0) May 4, 2014 Taking a community inclusive approach to developments can help find a middle ground for industry. 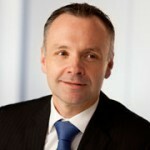 Sedgman appoints new CEO (0) May 4, 2014 Sedgman has appointed Peter Watson as its new CEO and managing director. 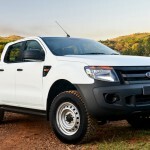 Ford brings new Ranger to the mining industry (0) May 2, 2014 Ford is attempting to stake a claim in the Australian mining industry with a debut at the Mining and Engineering Expo in Western Australia next week. 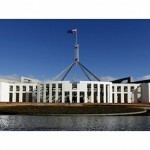 Rio warns Australian Government over tax reform surprises (0) May 2, 2014 The Australian public aren’t the only people shaken by Liberal Government scaremongering in the lead up to the release of the new budget on May 13. 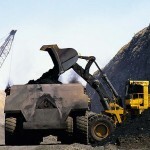 Rio Tinto to cut jobs at Queensland coal mine (0) May 2, 2014 Rio Tinto plans to cut jobs from its Hail Creek coal mine in Queensland as it looks to improve costs and productivity at the operation. 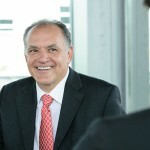 Vale posts disappointing first quarter (0) May 2, 2014 Vale have posted some disappointing first quarter results, but company CEO Murilo Ferreira is as optimistic as ever. 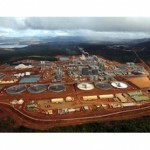 First iron ore mined at Gina Rinehart’s Roy Hill project (0) May 2, 2014 Gina Rinehart’s $7 billion Roy Hill project has mined its first iron ore.
Brierty wins Rio Tinto contract (0) May 2, 2014 Brierty has won a $300 million contract for work at Rio Tinto’s Western Turner Syncline Stage 2 project. 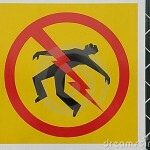 Amputee thief loses suit against power company (0) May 2, 2014 A man who became victim of his own botched theft attempt has lost his $1 million damages claim against Western Power. 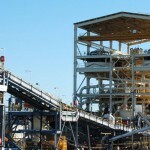 Production costs down for Oceana Gold (0) May 1, 2014 Oceana Gold have proven they are the lowest cost gold producer on the ASX, with record quarterly earnings announced in their 2014 first quarterly report. 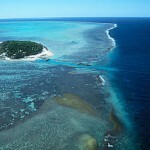 Padbury confirms $6 billion Oakajee deal abolished (0) May 1, 2014 Padbury Mining’s plan to develop the Oakajee port and rail project with the help of Roland Bleyer’s companies has collapsed. 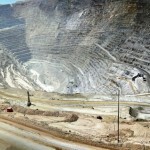 ​Barrick sees massive profit plummet (0) May 1, 2014 Barrick Gold has recorded a drop in net profit of 90% for its first quarter. 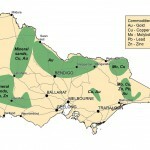 Is ‘underground coal gasification’ the new fracking? 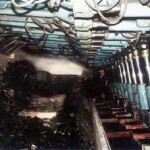 (0) May 1, 2014 Can underground coal gasification provide a safer alternative to the current fracking trend? 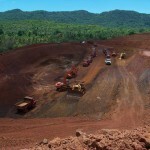 ​Rio Tinto sues Vale over Simandou iron ore mine (0) May 1, 2014 Rio Tinto has filed a legal complaint in the US against Vale and other groups over the loss of its Simandou mining concessions. 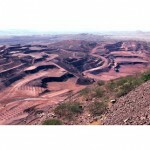 Workers grow restless after Pilbara copper mine collapse (0) May 1, 2014 Trouble continues to brew for the Nifty copper mine, with workers threatening legal action against the mine’s owner, Aditya Birla. Backyard gold extraction bust (0) May 1, 2014 Detectives in Kalgoorlie have unearthed what appeared to be a backyard gold extraction lab at a Turner Street address. 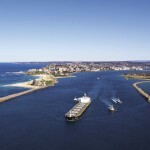 Port of Newcastle privatised in $1.75 billion deal (0) April 30, 2014 Hastings Funds Management and its backer, China Merchants, have won a bid to lease the Port of Newcastle for $1.75 billion. 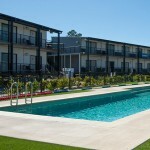 Mining scholarships to give NSW students a boost (0) April 30, 2014 Nine senior high school students from the Hunter Valley are about to kick-start their careers in the mining industry, after being awarded NSW Mining Scholarships this year. 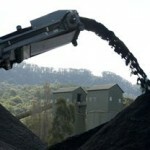 Wollongong Coal set to cut jobs as part of operational review (0) April 30, 2014 Wollongong Coal has flagged the need to cut more jobs, stating an operational review will result in some “tough decisions” at its two Illawarra mines. 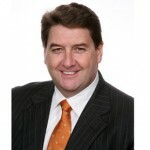 Queensland LNP divides over FIFO issue (0) April 30, 2014 Member for Mackay Tim Mulherin has been railing against government policies that allow companies to hire 100 per cent non-local workforce at mine sites. 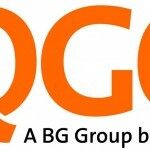 ​QRC warns QLD over potential mining royalty hike (0) April 30, 2014 The Queensland Resources Council has warned the QLD government to not fall populist sentiment that more mining taxes are the solution to budget woes. Job cuts at Gindalbie head office (0) April 30, 2014 West Australian iron ore miner Gindalbie Metals has flagged the need to cut jobs at its head office as part of cost reduction at the Karara Project. 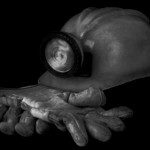 Inexperience of worker and supervisor contributes to death (0) April 30, 2014 Inexperienced workers and inexperienced supervision are the main contributing factors to mining industry deaths, a recently released report has shown. 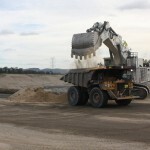 ​Grange Resources wins Tasmanian tailings storage facility approvals (0) April 30, 2014 Grange Resources has received the greenlight to construct a new tailings facility at its Savage River mine. 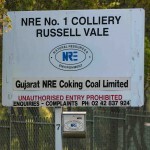 300 jobs on the line as Wollongong Coal seeks make-do mining approval (20) April 29, 2014 Wollongong Coal says it may have to shut its Russell Vale mine unless the New South Wales government approves a temporary fix to its mining plan. 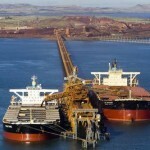 Record iron ore export out of Port Hedland (0) April 29, 2014 Two million tonnes of iron ore has been exported out of Port Hedland in 24 hours for the first time. 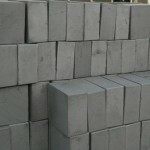 First graphite sold in Australia in 20 years by Valence Industries (0) April 29, 2014 Valence Industries has announced that it has signed an agreement for the first graphite to be sold in Australia in the last 20 years. 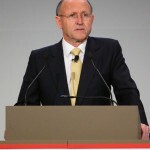 Ex-Xstrata boss wants BHP’s thermal coal portfolio (0) April 29, 2014 Former Xstrata boss Mick Davis is said to be in discussions with BHP Billiton in a bid to buy the company’s unwanted coal assets. 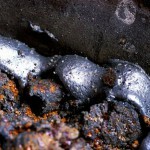 Brown coal for a cleaner future in hybrid cars (12) April 29, 2014 Victorian brown coal may stage a comeback with Toyota taking an interest in converting the resource to hydrogen for fuelling next-generation hybrid cars. 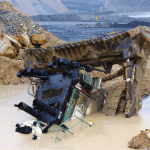 Investigation continues after dozer falls into water-filled hole (0) April 29, 2014 An incident in which a dozer fell into a water-filled test hole at Rio Tinto’s Bengalla mine is being investigated by the Mine Safety Investigation Unit. 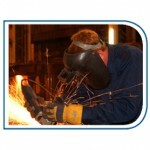 More than half of Aussie welders fail tests: Bechtel (0) April 29, 2014 Claims by Bechtel that more than half of Australian specialist welders have failed welding tests, necessitating further 457 visa hires, has prompted investigation by the AMWU. 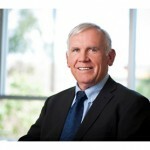 Troy Resources MD Paul Benson resigns (0) April 29, 2014 Gold miner Troy Resources managing director and CEO Paul Benson has resigned. 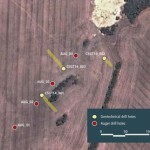 Radiation exposure on Chinchilla-based Weatherford CSG rig (0) April 29, 2014 QGC has only recently revealed to local press a radiation exposure incident that took place near Chinchilla in February. 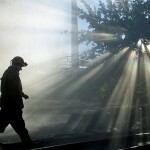 Chile copper mines double as tourist attraction (0) April 28, 2014 Chile’s copper industry is going on show, with plans to open up much of the country’s mines to tourists. 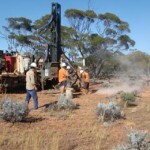 Archer closes in on pit design for Campoona graphite resource (0) April 28, 2014 Archer Exploration expects to have completed the pit design for their South Australian graphite project at Campoona by the end of May. 2014 Women in Industry Awards – nominations extended (0) April 28, 2014 You now have until May 1 to nominate women doing great work in your company. 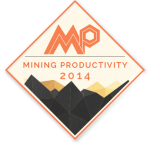 Mining Productivity Forum (0) April 28, 2014 The importance of productivity and a high-performing culture has never been so important to mining industry executives. 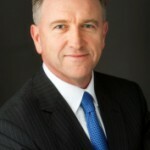 Sandvik appoints new head of mining (0) April 28, 2014 Sandvik has appointed Scot Smith as its new global president of mining. 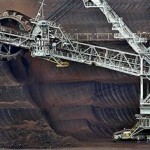 McAleese to double Mt Webber mine iron ore haulage (0) April 28, 2014 McAleese and Atlas Iron have agreed to double the levels of iron ore hauled under its existing agreements. 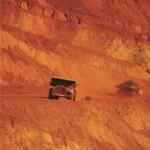 BHP open Jimblebar iron ore mine, announces autonomous haul truck trial (0) April 28, 2014 BHP Billiton has celebrated the opening of its Jimblebar iron ore mine 40 kilometres east of Newman in the Pilbara region of Western Australia. 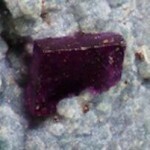 New mineral discovery in Western Australia (0) April 28, 2014 A unique mineral unrelated to any other has been unearthed at Lake Cowan in Western Australia. 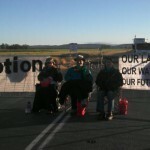 Protesters arrested at Maules Creek coal mine, again (0) April 24, 2014 Protesters have “immobilised” a drill rig at the Maules Creek coal mine, early this morning. 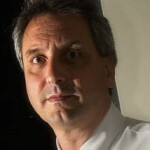 KPMG warned Forge Group of insolvency days before its collapse (22) April 24, 2014 It has been revealed that audit firm KPMG raised concerns that Forge Group may have been trading insolvent a week before the company’s collapse. 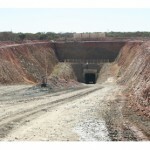 Padbury’s Oakajee plan ‘unrealistic’: WA Premier (0) April 24, 2014 West Australian Premier Colin Barnett said there is “very little prospect” Padbury Mining’s $6 billion plan to develop the Oakajee rail and port project would gain his government’s backing. 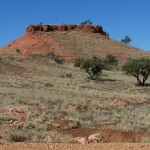 WPG Resources tries to crack Tunkillia nut (0) April 24, 2014 A new mining lease application has been lodged for the Tunkillia gold project in South Australia. 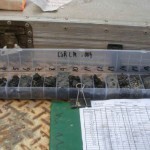 Archer graphite plows ahead on Eyre Peninsula (0) April 24, 2014 Results from the drill program at Archer’s Campoona graphite project have come in positive, confirming high grade mineralisation across the prospect. New support for mining in Gloucester (0) April 24, 2014 A new lobby group has formed in the NSW town of Gloucester to challenge the perspective of hard-line, anti-mining protest groups. 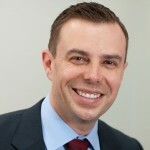 Padbury confirms $6 billion Oakajee deal backed by Bleyer (0) April 23, 2014 Padbury Mining has confirmed the companies set to bankroll the $6 billion Oakajee port and rail project have ties with Sydney businessman Roland Bleyer. 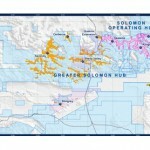 Aussie explorers stakes Lithium claim in Austria (0) April 23, 2014 Global Strategic Metals will become the first lithium producer in Europe, with mining leases granted the Wolfsberg Lithium Project in Austria. QRC fight back against anti-mining activists in new Great Barrier Reef ad blitz (0) April 23, 2014 The Queensland Resources Council is launching an advertising campaign it says will inform the public on the health of the Great Barrier Reef. 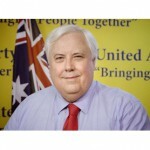 Palmer threatens double dissolution over Direct Action (0) April 23, 2014 The conundrum of Clive Palmer continues, unwilling to support carbon and mining tax repeals unless links to the passage of ‘Direct Action’ are removed. Australians for Coal campaign sends 35,000 emails in support of the sector (0) April 23, 2014 The Australians for Coal website launched to an online storm from activists, but industry insiders say it was this attention that has made the initiative a success. 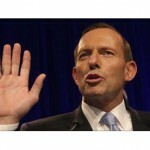 Labor policies in Liberal Government to tax miners (0) April 23, 2014 In the wake of fresh senate debate over fuel tax credits, the Minerals Council of Australia (MCA) claims mining has already been hit with additional taxes. 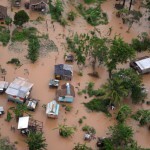 21 dead after coal mine flooding (0) April 22, 2014 At least 21 people have died after a coal mine flooded in China’s southwest province of Yunnan. Minerals council defends fuel tax credits at senate hearing (0) April 22, 2014 Costings show the removal of fuel tax credits could be worth billions in savings for the Abbott Government. 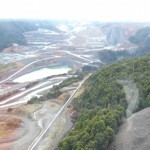 Heavy rain leads to gold mine wall collapse (0) April 22, 2014 Heavy rain has led to a pitwall failure at OceanaGold’s Macraes open pit gold mine in New Zealand. 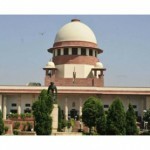 Indian Supreme Court announces end to iron ore mining ban in Goa (0) April 22, 2014 Iron ore mining will recommence in the Indian state of Goa after the Supreme Court of India lifted a 19 month ban on Monday. 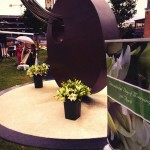 Miners recovered from Austar Mine (0) April 22, 2014 The bodies of two miners killed at a Hunter Valley coal mine have been recovered, with investigations ongoing.